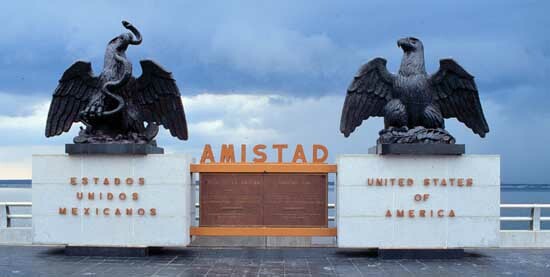 The eagles sit atop the international boundary line on the Amistad Dam. On the left is the Mexican eagle, on the right the American eagle. A pity that they are so large and heavy. I think that the Mexican eagle would look great in my front yard.